Sign-up to discover the hottest new tech and gadgets with exclusive VIP invites to get them before anyone else with amazing deals not available elsewhere! It may be just the beginning, but robots and A.I. are quickly becoming a part of our lives in ways you might not even think about. Whether they walk around serving our needs or exist as a brain in our ever-expanding technologies, A.I. will grow to improve our lives in ways big and small. Robots are now able to drive our cars and take over factory duties with expanding results. In new breakthroughs, A.I. is being taught to learn like infants, growing brain processing that mimics our organic way of development. There are many reasons to look for advancements in A.I., and a big part of the intrigue is companionship. 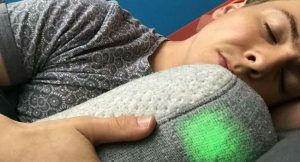 It may seem a little far-fetched, and a little strange, to imagine hanging out with our robots in a meaningful way, but we’re getting there, and here are some fun examples on that path. 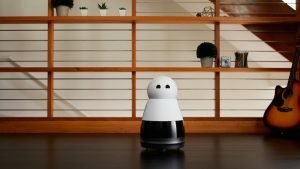 The Kuri robot https://www.heykuri.com/explore-your-home-robot isn’t quite advanced enough to make you a cup of coffee – we’re a long ways away from A.I. butlers – but it does plenty of cool things like capture HD video and images, livestreams the surroundings for times you may want to keep a watch on things, and will animate and gesture in ways to bring added life to its robot form. Kuri will respond to human touch and a wide range of sounds, moving around even the most cluttered rooms to stay near you. In 1999, Sony introduced Aibo https://aibo.sony.jp/en/, the “artificial intelligence robot.” Here we are, almost 20 years later, and the robotic pooch is capable of discerning between a bone and a human. And whoever gives it the most attention in the house gets the most attention back. Features like OLED eyes are meant to provide more warmth and the ever-expanding reach for realism, and if you’ve always wished your real dog could engage with the internet, now you’ve got Aibo and his internet-connected brain. One of the neat things about this pint-sized A.I. is that your kids – and secretly, you too – get to play robot maker and bring the STEMosaur to life with a little construction challenge. 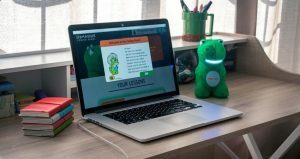 The robot dinosaur is basic and stationary, but to a child’s imagination, it breathes and expresses and interacts and – best of all – teaches about life. Wi-Fi updates grow its knowledge level and a unique coding tool shapes around the child’s individual interactions and results in a personalized companion … and teacher. We ultimately want our advancements in A.I. to show us things, and this little robot dinosaur is a unique starting point for the young mind.